The conference will take place at the Sternen Muri Hotel, Thunstrasse 80, 3074 Bern - Muri, Switzerland. The city of Bern or Berne is the de facto capital of Switzerland, referred to by the Swiss as their Bundesstadt, or "federal city". With a population of 140,779 (January 2016), Bern is the fourth most populous city in Switzerland. The metropolitan area had a population of 660,000 in 2000. Bern is also the capital of the Canton of Bern, the second most populous of Switzerland's cantons. The official language of Bern is (the Swiss variety of Standard) German, but the main spoken language is the Alemannic Swiss German dialect called Bernese German. In 1983 the historic old town in the centre of Bern became a UNESCO World Heritage Site. Bern is ranked among the world’s top ten cities for the best quality of life (2010). 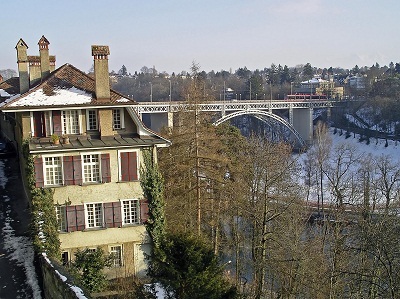 Bern is home to 114 Swiss heritage sites of national significance. It includes the entire Old Town, which is also a UNESCO World Heritage Site, and many sites within and around it. Some of the most notable in the Old Town include the Cathedral which was started in 1421 and is the tallest cathedral in Switzerland, the Zytglogge and Käfigturm towers, which mark two successive expansions of the Old Town, and the Holy Ghost Church, which is one of the largest Swiss Reformed churches in Switzerland. Within the Old Town, there are eleven 16th century fountains, most attributed to Hans Gieng, that are on the list.Outside the Old Town the heritage sites include the Bärengraben, the Gewerbeschule Bern (1937), the Eidgenössisches Archiv für Denkmalpflege, the Kirchenfeld mansion district (after 1881), the Thunplatzbrunnen, the Federal Mint building, the Federal Archives, the Swiss National Library, the Historical Museum (1894), Alpine Museum, Museum of Communication and Natural History Museum.